D.M. 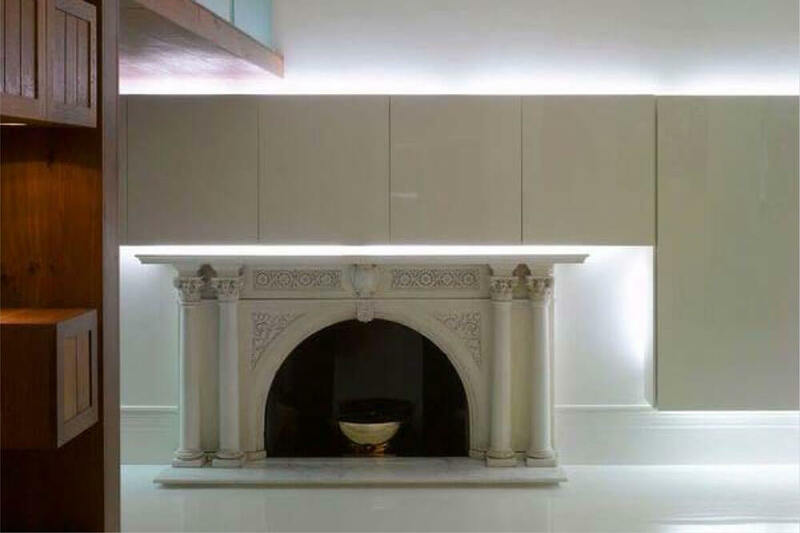 Specialist are a high quality refurbishment and fit out contractor involved with residential and commercial projects throughout London and the surrounding areas. At D.M. Specialist we create unique residences and beautiful commercial spaces. 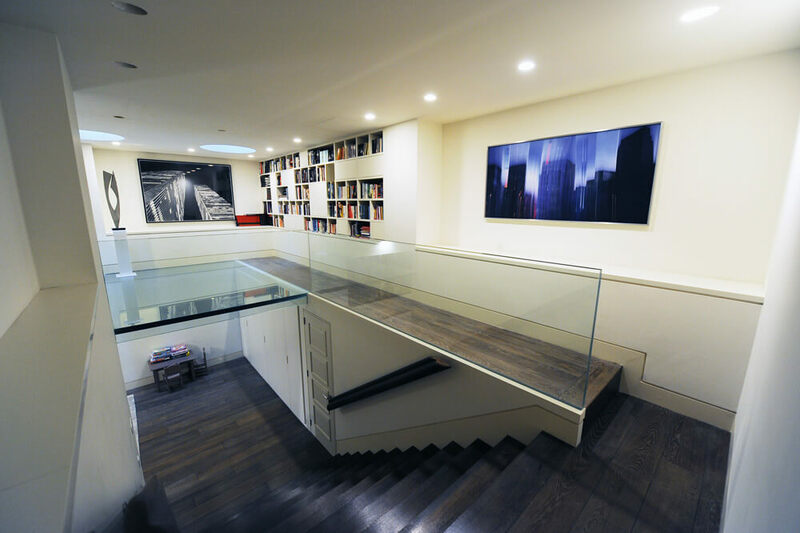 Originally a 5 storey property in the heart of London the client had specified a triple level basement extension as well as refurbishment of the upper floors. 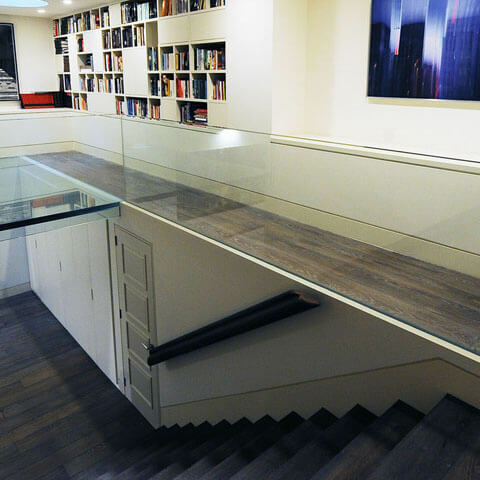 We liaised with a specialist basement contractor to complete the groundworks and managed the internal fit out including the installation of bespoke staircases and a bespoke glass floor. The project was complex in many ways. We had to remove the existing basement so we could construct the new three storey below ground basements and then reinstate a metre deep garden. We also had to completely lift the five storeys above the lower ground floor so we could remove all the walls to create one very large open space which became the kitchen/ dining area and a living space with open fire and TV wall with large swinging glass doors to gain access to the rear garden. 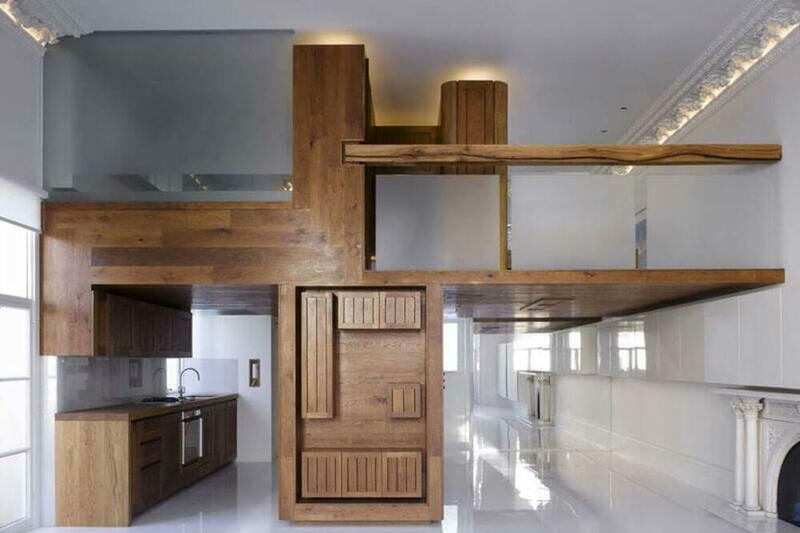 The space above then became the inspiration for the “Fourth Wall Kitchen” by Poggenpohl (designed by Andrew Hayes). We worked very closely over a two year period with architects Michaelis Boyd and interior designers Collett Zarzycki. The outstanding completed project resulted in big open functional spaces that are fitting for a large family home in the heart of Kensington. In this listed building was a single level apartment- after initial investigations the architect discovered that on removal of the existing ceiling there would be a double height space. Before this could be fully realised services supplying other properties within the building had to be re-routed without affecting the other tenants and on completion of that a mezzanine area was constructed. 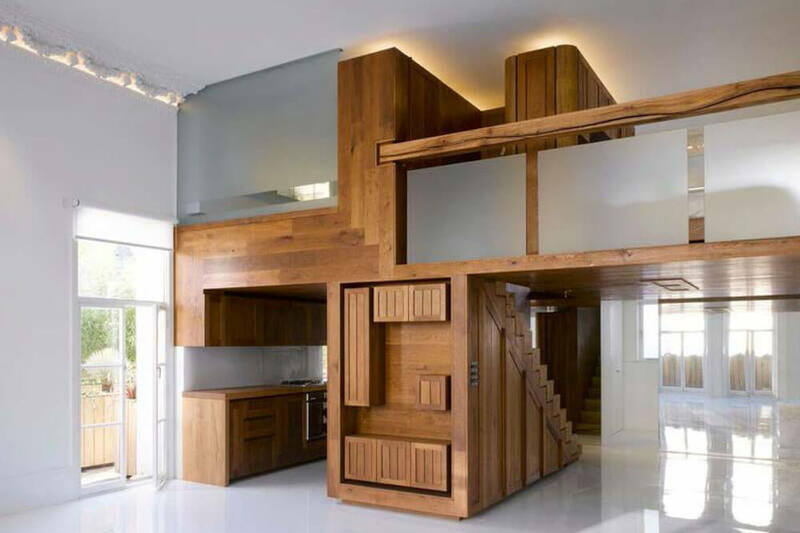 The lower area was equipped with a kitchen, living and dining area and the upper area with a bedroom, dressing area and glass floored shower. This project was particularly complex, we had to install steel beams within the floor structure so that the double height mezzanine space could be supported, once these beams within the floor were installed we then added the steel structure to create the living space. The larger timber structure was created using reclaimed sea beams, originally part of a seaside pier, which were sourced by architect Hamish Hereford (Hogarth Architects), these were also the foundation for the internal staircase. The lighted cornice was created using the existing cornice which was reconfigured to house the led lighting. The project was finished off with mirrored walls and gloss polished chemical resin acoustic floor. 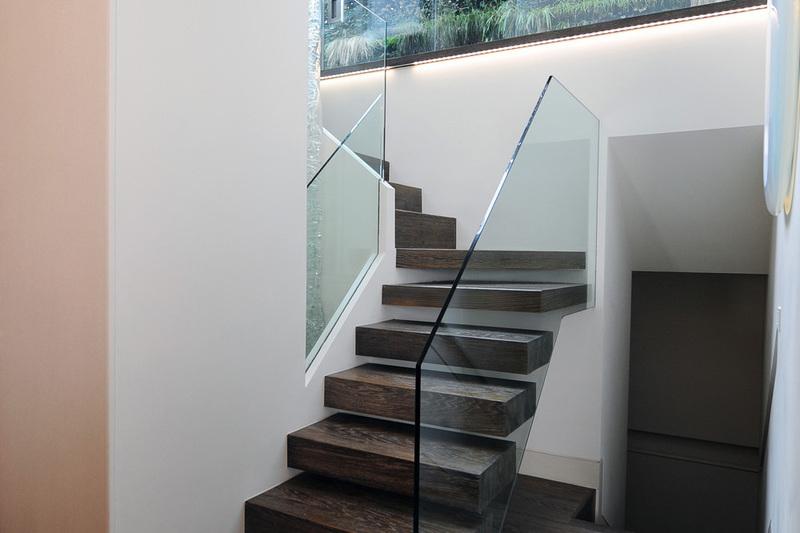 DM Specialist carried out a whole house refurbishment of this Notting Hill family home including the opening up of roof space to create a more spacious living area and installation of a bespoke rooflight, installation of a bespoke feature staircase throughout and a basement extension. Major underpinning and steel works were needed to create the large open spaces to the ground floor and lower ground floor. 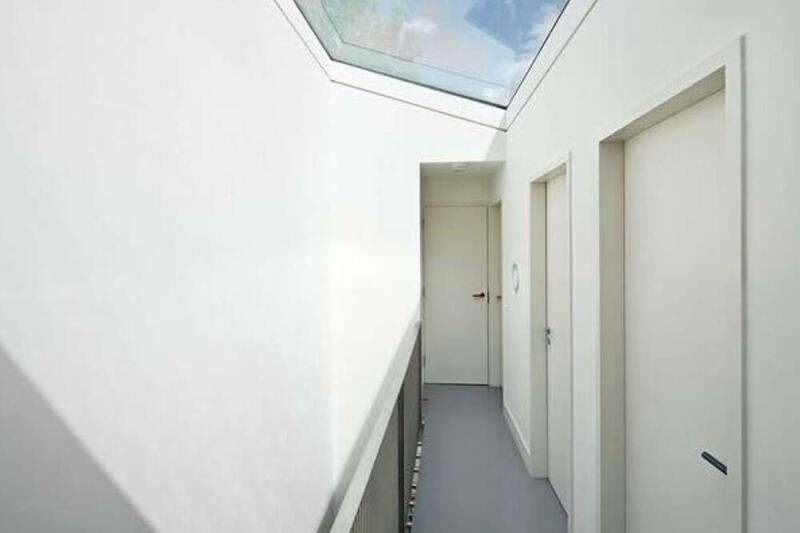 The lower ground floor extension also created a rear terrace and skylights. 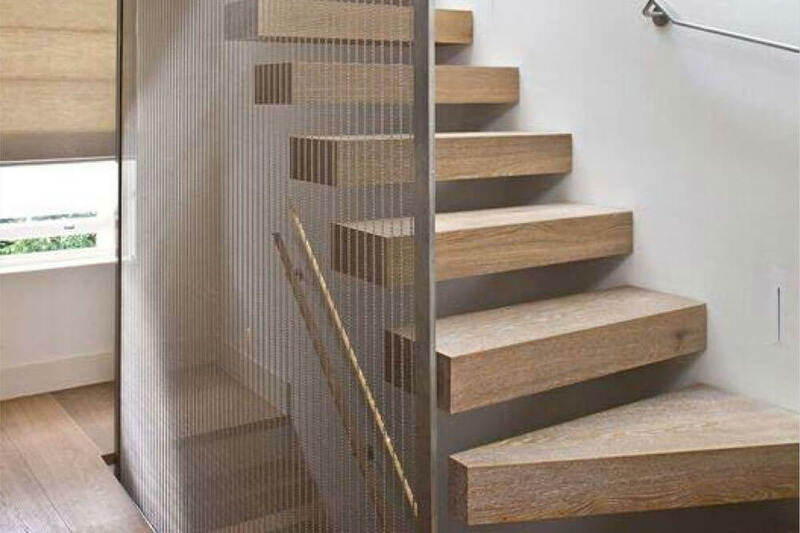 The floating staircase with oak blocks and stainless steel mesh was used to let light through the whole house from the new roof which was created with one large piece of glass and craned into place, the use of lighting was cleverly designed into the handrail details. 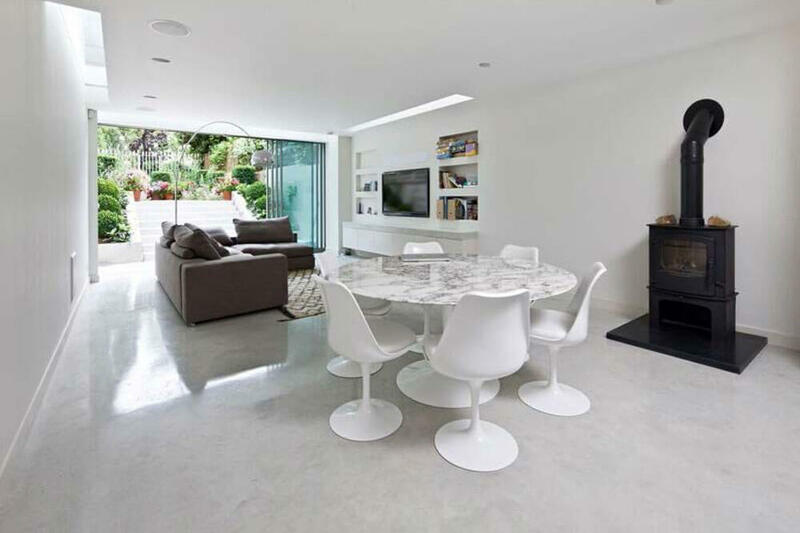 This project was finished off with polished concrete floors and wooden floor on the upper areas.